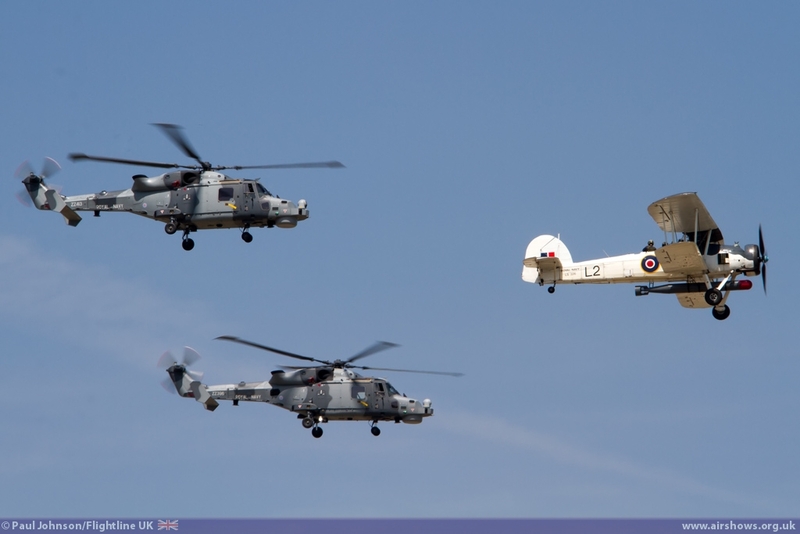 The date for the annual Royal Naval Air Station Yeovilton International Air Day has been confirmed as Saturday 26th July and planning is well under way for the popular event. The award-winning Air Day is one of the south west’s largest one day events attracting around 35,000 visitors. Air Day 2014 will follow the naming ceremony of HMS QUEEN ELIZABETH, the first of the UK’s 21st Century Aircraft Carriers. The carrier, a floating sovereign airfield, will enable the UK to project air power around the globe supporting tasks from humanitarian and disaster relief through to combat operations. The Royal Navy has been at the core of ‘Carrier Aviation’ since inception and at Air Day 2014 aircraft, past and present, which operate from the sea will be on display. Over five hours of flying displays will include UK/Foreign military and civilian display teams as well as the resident squadrons performing spectacular role demonstrations. The ground displays will showcase modern Royal Navy assets and equipment that support embarked aviation Protecting our Nations Interests. The Air Station is one of the UK’s busiest military airfields and is notably home to the Lynx Wildcat Maritime Force, Commando Helicopter Force, Aviation Reconnaissance Force and the Royal Navy Historic Flight with its rare collection of naval aircraft. Discounted ‘Earlybird’ Tickets are now available, with no booking fees, from http://store.yeoviltonairday.co.uk for a limited period. These are priced lower than the usual advance tickets which will go on general sale in the New Year.